Come down to listen to the life story of Dr. A.Govardhan, Director school of IT, JNTUH. 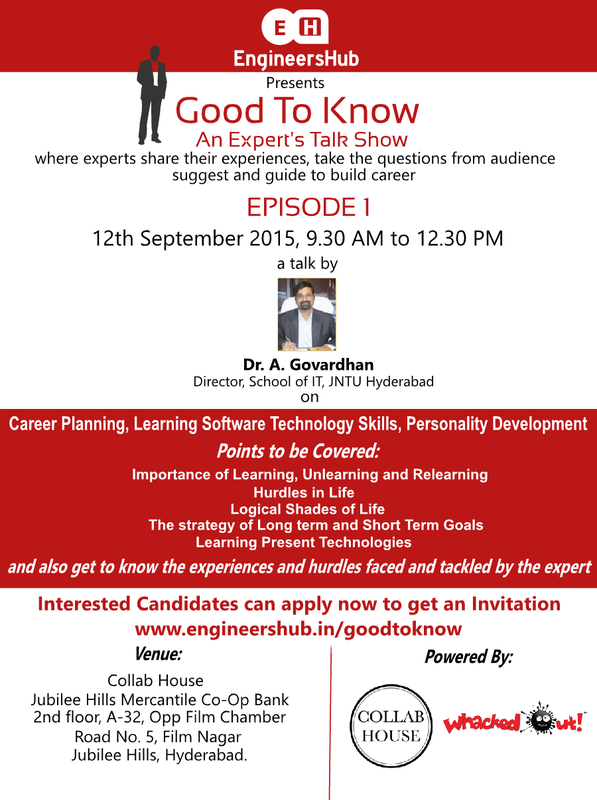 Clear your doubts about career planning by educational expert. This is a 2 hour interactive session. The importance of learning, unlearning and relearning things.